* For the 114 pt. Gloss Cover paper stock, a High Gloss UV Coating will be applied to the color sides, unless High Gloss UV Coating Front Only is selected. High Gloss UV Coating will not be applied to the back if you select Grayscale Back or Blank Back. Collectors cards make a great choice for not only sports teams and collectors, but for all types of businesses and self-promotional needs. Slightly larger than a business card, you have more room to advertise, not to mention, be creative! Be prepared at trade shows and other events with your full-color cards. Ideal for promoting books, comics, art, and more! Don't limit your cards by merely displaying contact information-include additional, fun details and pictures to draw in customers and fans. Choose our Gloss stock for a beautiful shine, the 14 pt. Uncoated Cover for a textured look, or one of our Matte stocks for a more subdued and vintage look. Also, now offering Trifecta, triple-layered paper! High Gloss UV Coating makes the products more durable, so your cards will last longer. You cannot write or print on products with High Gloss UV Coating. Want to write on the back of your card? Choose the 14 pt. Uncoated Cover or select High Gloss UV Coating Front Only on the 14 pt. Gloss Cover. Our High Gloss UV Coating Front Only option may produce variation in color and brightness between the front and back of your product. 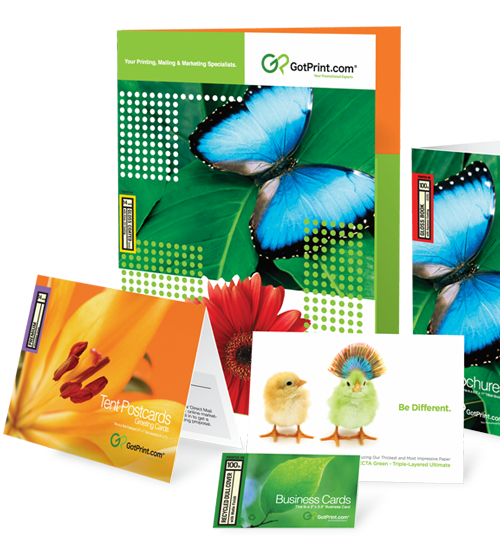 Attract new customers and fans or start a unique marketing promotion by using full-color collectors cards from GotPrint. Our site allows you to design and order your cards completely online for a positive, convenient experience. Collectors cards (also referred to as trading cards) are a great choice not only for sports teams and collectors, but also for all types of business promotional needs. Since each card is slightly larger than a business card, you have more room to advertise and be creative. Don't limit your cards by merely displaying contact information. Instead, attract new followers by also including interesting details and eye-catching pictures. Our 2.5" x 3.5" cards are available in vertical or horizontal orientations, and round corners are available for softer edges. We offer a wide selection of stocks to help you create a custom card that meets your needs and your budget. Choose our Gloss stock for a beautiful shine, the 14 pt. Premium Cover for a textured look, or one of our Matte stocks for a more subdued, vintage look. 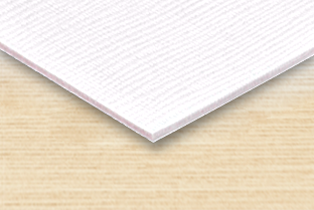 We are now offering Trifecta, a top-quality triple-layered paper that is sure to impress! We realize that our customers have different needs, so we offer three methods for placing your trading card printing order. If you have already completed your card's design, use the Upload Your Design feature to add your file to our site and place your order. If you want to create a custom look, our Designer tool is here to help. Get the job done quickly by starting with one of our quality templates, or create an original design using our fonts and graphics. We also offer professional design packages at budget-friendly rates. GotPrint customers benefit from our multiple printing facilities and fast turnaround times. Once you've designed and approved your collector cards, we process, print and ship your cards quickly so you can start your new marketing efforts right away. All of our paper stocks are premium and vary in thickness, so no matter what you order, we're sure you will be pleased with your high-quality product. You can choose from our popular and cost-effective 14 pt. Gloss Cover, or choose our luxurious ultra thick, 38 pt. Trifecta Black with Velvet Finish. Our multiple premium paper stocks ensure that you find the right paper for your promotional needs. Uncoated, thick card stock with a slightly textured, natural paper feel. If you're looking for a stock to write on, uncoated is the way to go! Triple-layered stock with green edges. This 520 gsm "Smart White" paper has a velvety finish for stunning, soft colors. Triple-layered stock with Pearl white edge. The 689 gsm "Solar White" paper has a canvas textured finish for a rush of opulence. Triple-layered stock with black edges. This 700 gsm "Smart White" paper has a velvety finish for stunning, soft colors. The black middle layer is thicker than the two white layers, creating a striking contrast. Triple-layered stock with red edges. This 700 gsm "Smart White" paper has a velvety finish for stunning, soft colors. The red middle layer is thicker than the two white layers, creating a striking contrast. We require a .1" bleed. E.g., Final Size: 2.5" x 3.5"
Size with Bleed: 2.6" x 3.6"
We cannot guarantee 100% color match. We are able to match your color up to 85%, so there might be a 15% shift in color when your product is printed. We recommend limited usage of blues and reds, simply because they are the hardest colors to match. Prices include processing one set of uploaded files and creating a single proof. You can view the status of your order online 24/7 under "My Account."